[Update, 31 Aug] According to InsiderRetail, EpiCentre Holdings has just posted a loss of S$7.1m million loss for the last year after cutting ties with Apple. At the end of June, the Singapore Apple reseller announced that it has sold its four physical stores and its online store to competitor Elush (T3), which runs iStudio. The former received a meagre S$516,275 in the deal. EpiCentre Holdings, the Catalist-listed parent company announced yesterday (26 June) that they will be giving up all of its four EpiCentre stores and its online store for $516,275 to Elush (T3), which runs Apple reseller chain, iStudio. 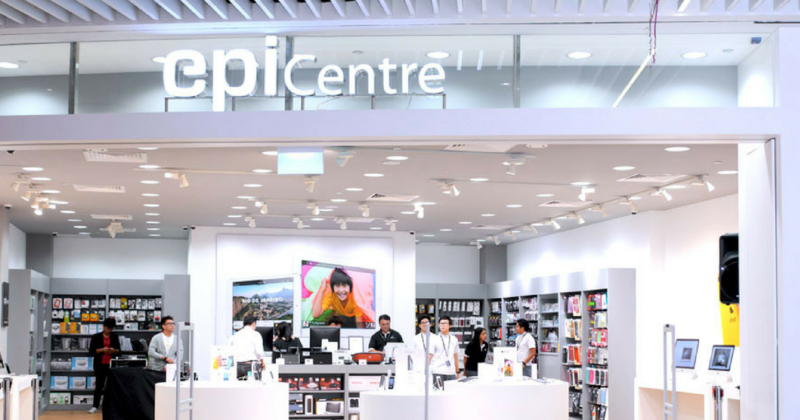 The sale will see EpiCentre give up their rights to run the Apple Authorised Reseller and Apple Premium Reseller business in Singapore, but it is up to shareholders’s approval. According to Straits Times (ST), Elush (T3) will be granted the license to use its signature “EpiCentre” and “Live Out Loud by EpiCentre” at no extra fees. The parent company said sales fell greatly and blamed “competition from other Apple Premium Retailers and the Apple store at Orchard, which opened last year, for the divestment”. They told ST that as Apple intends to open more stores, EpiCentre “has decided to dispose the business” and concentrate its efforts on its beauty, wellness, and lifestyle arm, while keeping a lookout for other opportunities. EpiCentre is still operating as an Apple Authorised Reseller in Malaysia. They revealed to ST the business made a net loss before income tax of about $55,000 in the half-year ended December 2017. EpiCentre was established in 2002 by four friends who had invested $500,000 to launch a store at Wheelock Place. Four years into the business, they were awarded Apple’s Best Point-of-Sale in Asia, and got listed on the Catalist board in early 2008. In 2011, they have more than 10 stores across the Singapore, Malaysia, and China markets. When the iPhone craze hit Singapore, people queued outside its 313@Somerset outlet overnight. However, that was before it was reported they had made a net loss of S$2.87 million for the full year in 2015, slightly lower than a net loss of S$2.895 million in 2014. Revenue had actually grown by 3.6%, according to Business Times (BT), due to the launch of the iPhone 6S in the first half of 2015. Then in 2016, DrWealth reported that the company raised close to $1.5 million through crowdfunding on crowdfunding platform, MoolahSense. They aimed to raise $2 million and offered a “nominal interest rate of 13.5% per annum” which the author thought was “exciting”. The author questioned the reason for EpiCentre to raise funds through crowdfunding because while it may look like an attractive payout for investors, it’s still a large cost for the company to bear. EpiCentre tried diversifying its portfolio in 2017, moving away from just selling Apple products and delving into the digital lifestyle products selling wearable tech with its Live Out Loud concept. Chairman of EpiCentre, Kenneth Lim told Marketing Interactive that “it was time for EpiCentre Holdings to review its strategy moving forward”, following the opening of the Apple store on Orchard Road. They wound down the ION Orchard EpiCentre Apple Premium Reseller outlet last year to convert it into a Live Out Loud store. But I think Singapore Apple fans won’t be quite as affected with EpiCentre’s exit.